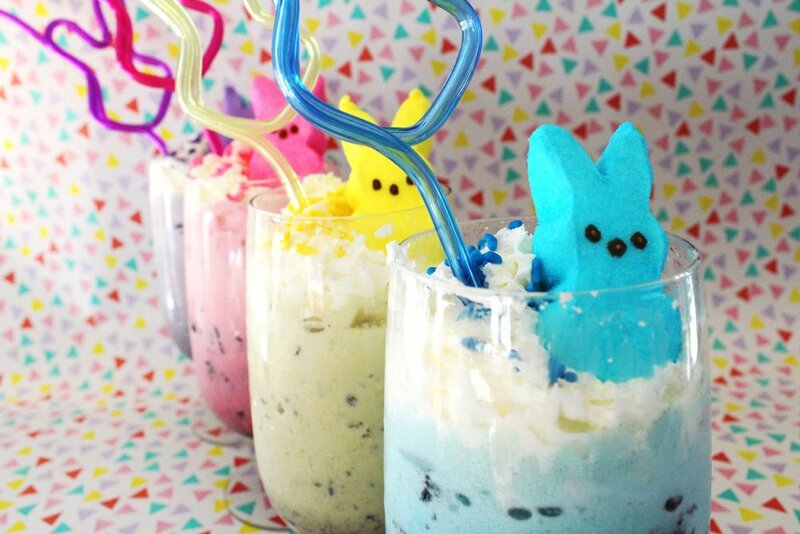 Italian sodas, a classic party go-to, gets a Valentine’s Day upgrade! I know there are “recipes” out there for Italian sodas, but I honestly don’t believe there’s a set way to make them—it all comes down to taste preferences! So you simply need syrups (I’m a Torani fan, and since it’s V-Day themed I tried to stick to pinks and reds like strawberry, raspberry, watermelon, and peach), half and half, and club soda. But to take it to that next level, you need toppings! 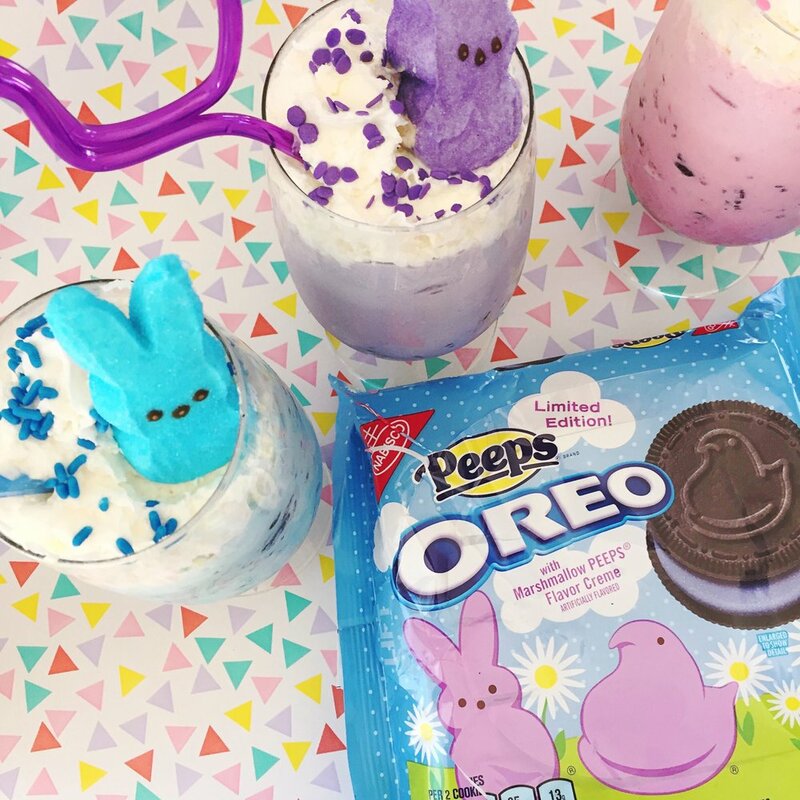 Whipped cream is a given, but we’ve also added Sixlets, candy hearts, raspberries, strawberries, and cotton candy bits. Scroll on for more details! 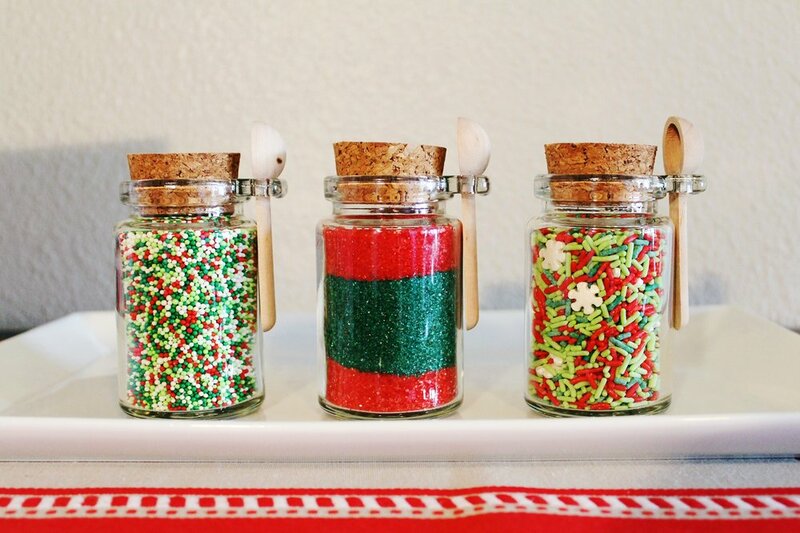 Forget drink charms, how about coating each glass in different sprinkles so your guests can keep track of whose is whose? It’s always about the little details! 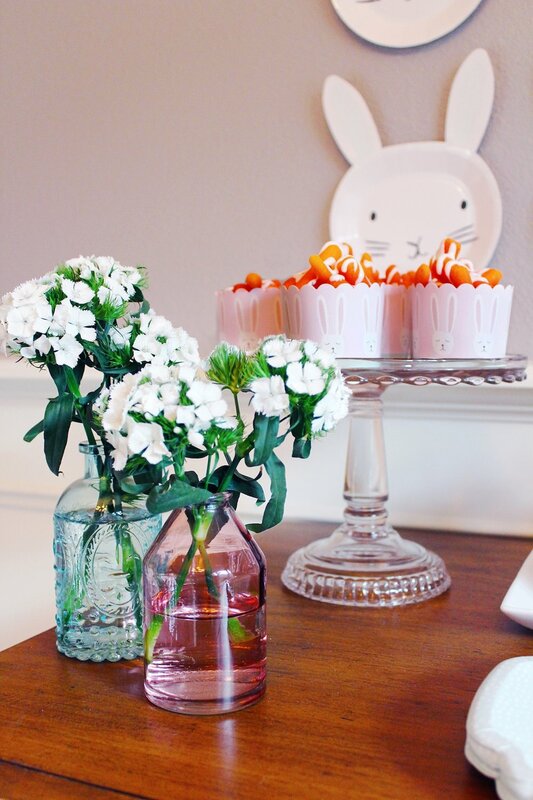 The covered glass dish holds our heart-shaped ice cubes which you can see below. They’re a perfect size for the small opening of the milk bottles. I purchased a silicone heart mold from Walmart—it didn’t make very many at a time, but I started early and just stored them in a container in the freezer until we were ready for them. An easy way to keep everything on theme and photo-ready is to cover pre-existing labels with other paper. The whipped cream got a shiny, polka-dot scrapbook paper makeover while the club soda was simply covered in plain pink cardstock. 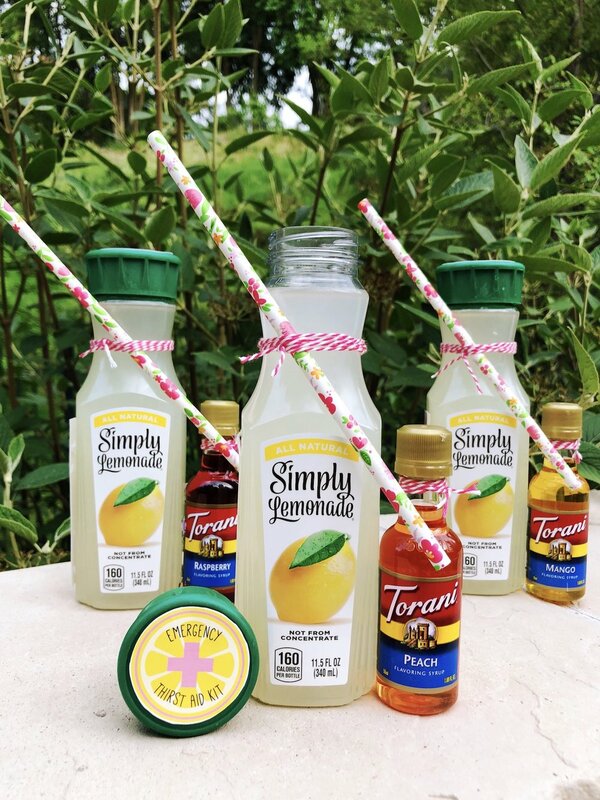 All those fancy toppings and mix-ins are sure to leave you and your guests with some Insta-worthy Italian sodas! BIG REPUTATION, BIG REPUTATION, OOOOH DO YOU WANNA HAVE A BIG REPUTATION? Then you have to throw a Taylor Swift “Reputation”-Inspired New Year’s Eve Party for you and your friends! The lights, sparkles, glitter, and silvery blue colors make for a magical evening! And all the lyrics references are perfect for the occasion (let me know if you think of any more good ones in the comments!) Of course we’re spending the night in our “forts undercover” listening to records, playing games, snacking, and watching the Taylor Swift Reputation Stadium Tour on Netflix! 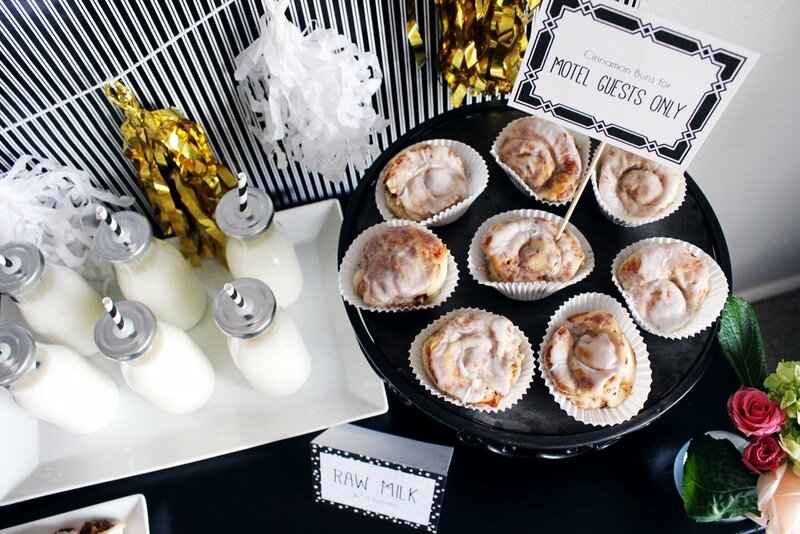 Scroll through for more details on this cozy yet fabulous NYE party! 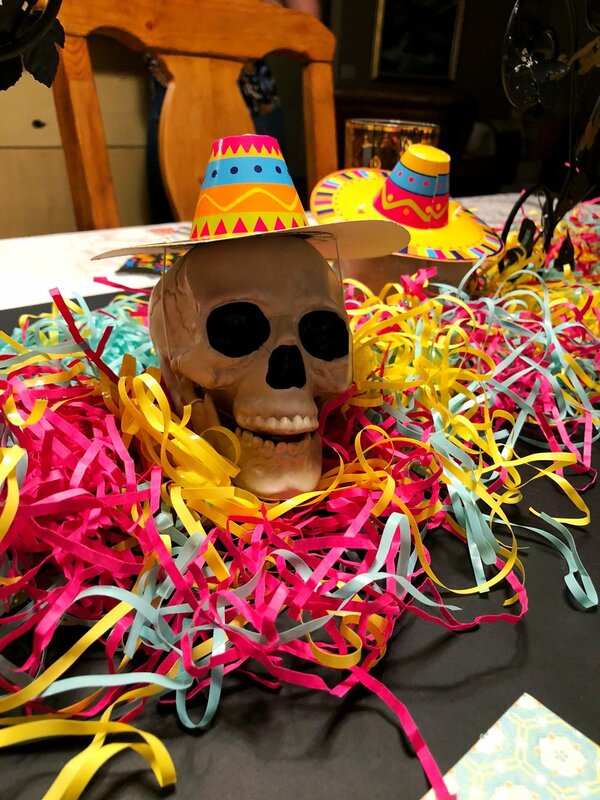 And our party favors are little blank notebooks reading, “hold on to the memories they will hold on to you” so your guests can fill them with the best photos and memories of 2019 to share together at next year’s party! Christmastime is here! 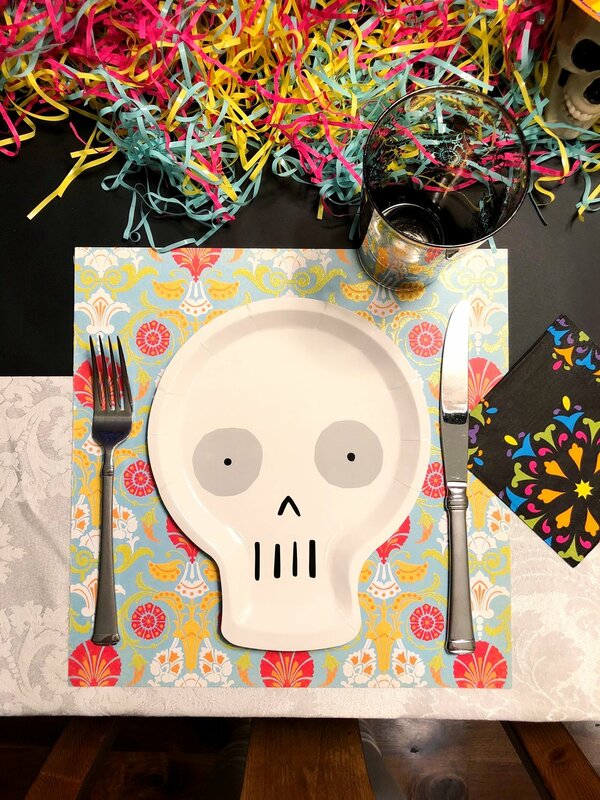 I am a firm believer that you can never have too many parties—it’s a celebration of life! So go ahead, throw one more Christmas party. 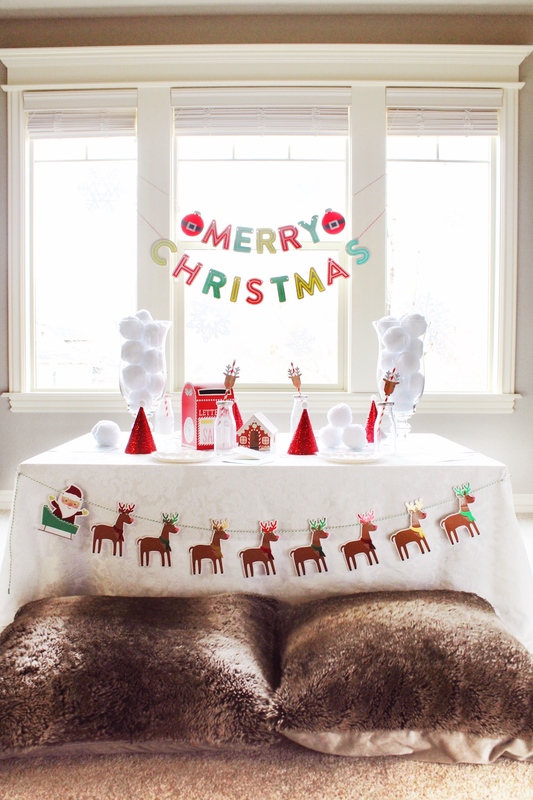 This North Pole Letters to Santa party was inspired by these adorable Santa plate and napkin sets I found at Marshalls. 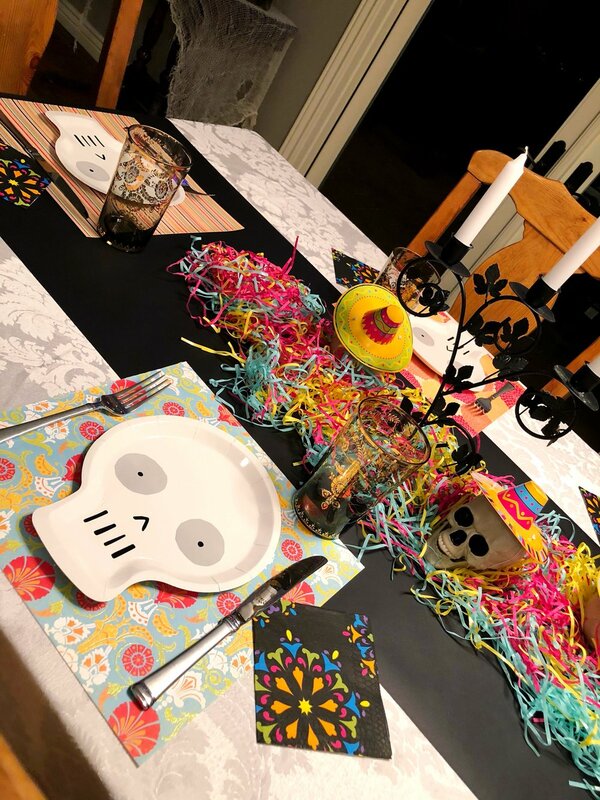 The Target Dollar Spot made it easy to pull together the rest of the decor and Meri Meri straws and hats finish up the fun! 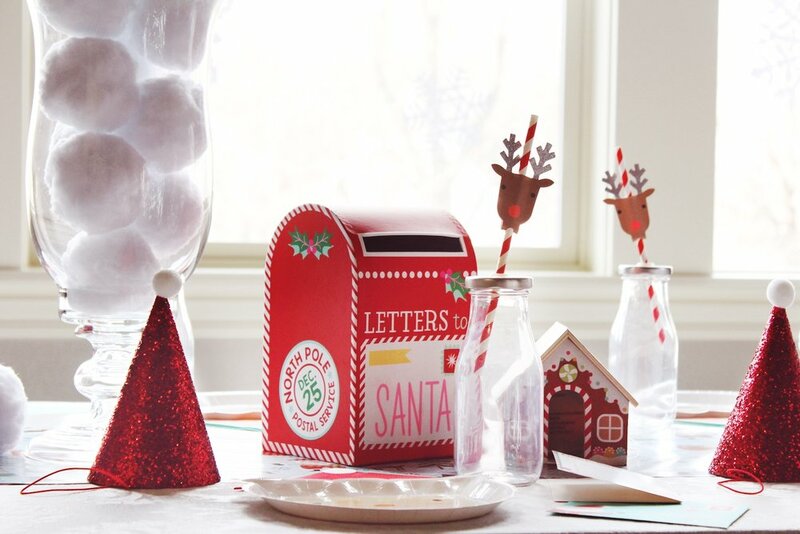 Again, OBSESSED with these little Santa face plates and hat napkins! Unique paper goods always help set the theme! These fake snowballs were also in the Target Dollar Spot ($3 for a bag of 10! 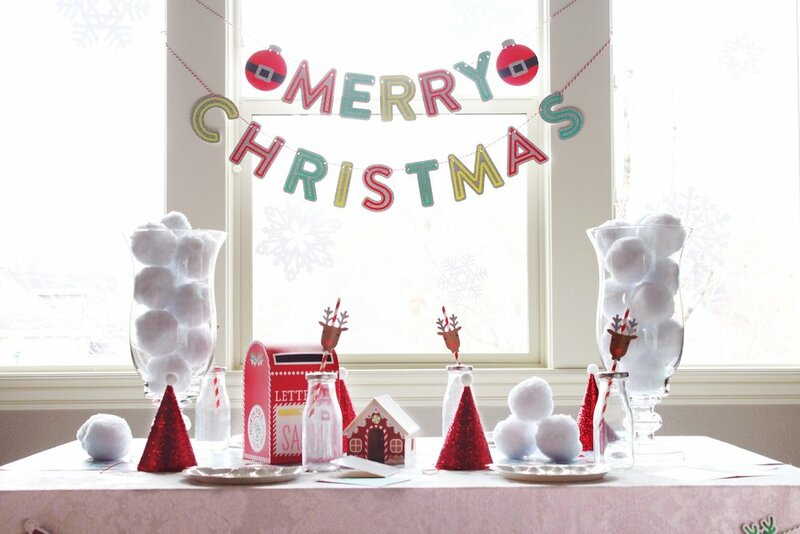 ), and they are a simple but festive way to add to that North Pole feeling! So I was only slightly late to the party and just saw The Greatest Showman last week, and let me tell you, I was hooked. Instantly. Hugh Jackman, Zach Efron, Zendaya and the whole cast and crew did an amazing job to create this story, film, and songs filled with wonder and amazement. I was in awe the entire time and saw it two more times within the week. Now, as we ready ourselves for it to be released on Blu-ray and DVD this week, I've created a Greatest Showman themed party, complete with our very own circus tent. 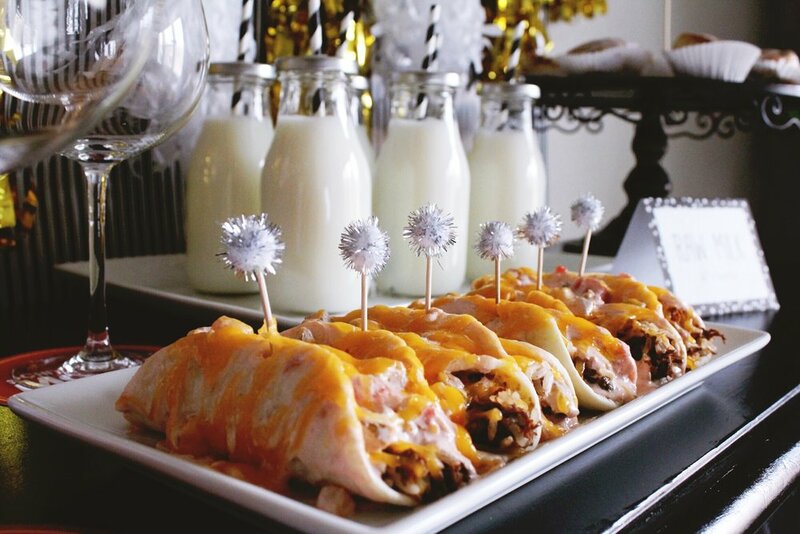 Read on for ideas to throw your very own Greatest Showman viewing shindig! In my opinion, a circus tent is a must for a Greatest Showman movie night. There are lots of different ways to make it happen, and it doesn't have to be perfect. Any tent will add to the theme and magic of the evening! 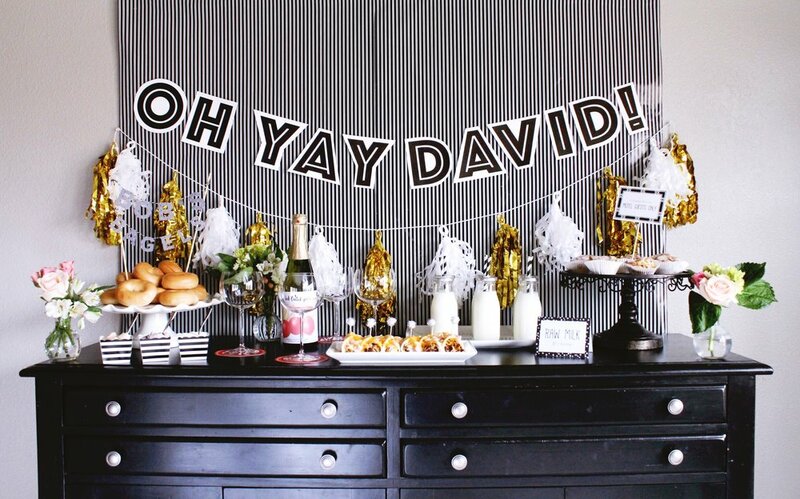 Collect all those sheets and blankets, maybe some fishing line and tape, and make it happen--your guests will love it! A pair of elephants pass a top hat to one another as they carry a frosting dip for our Barnum's Animal Crackers. What kind of circus party would be complete without popcorn and peanuts? I am IN LOVE with these circus themed tattoos from Flash Tattoos! Scroll on for more temporary tat cuteness! A tiny banner of vintage circus posters helps set the scene! These ringmaster soda bottles are my all time favorite DIY detail from the party! Look at those tiny top hats! As the light begins to dim and the movie begins our circus tent lights up with rows of fairy lights creating a magical, ambient glow. 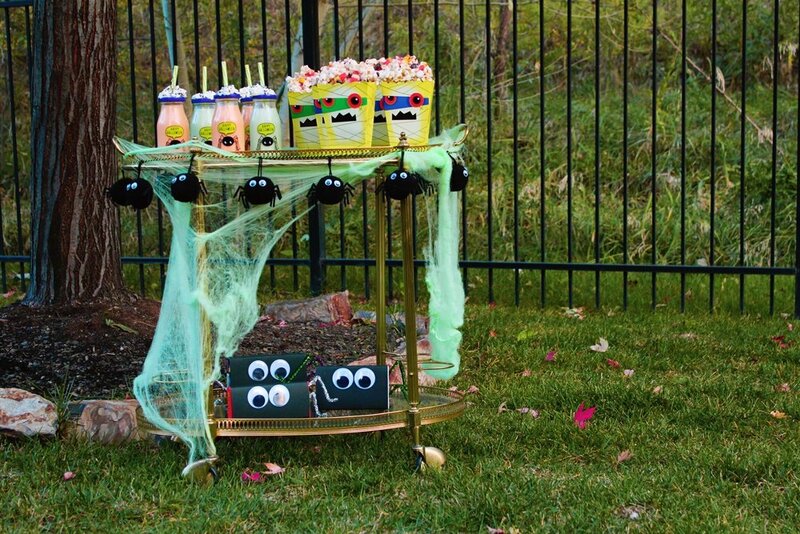 Guests can grab a snack tray to fill so they can keep their snackage close throughout the night. So are you as obsessed with the Greatest Showman as much as I am? Tell me your favorite song in the comments and be sure to tag me in your Greatest Showman party @designorganizeparty ! Thanks for reading! Happy Valentine's Day! How will you be celebrating? Schitt's Creek Season 4 is nearly upon us, and if you're not watching, hop on Netflix and get on it because it is SO FUNNY! 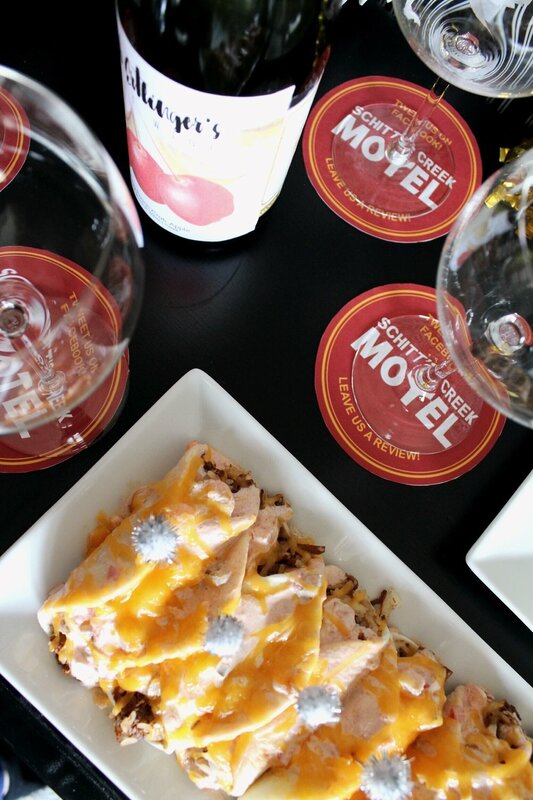 But maybe if you're here you already watch the show and you're looking for some inspiration for your very own Schitt's Creek party for you and your fellow Schitters so scroll through because we've got everything from Bob's Bagels to Herb Ertlinger's Fruit Wine. Take a look and let me know how you'll be celebrating! We went with David Rose's favorite color scheme--black and white, and one of Alexis' signature "David!" phrases to showcase our excitement! We've got Bob's Bagels with assorted cream cheese. You could even do an entire pastry table with muffins, cream puffs, croissants, etc. all baked by Ivan, of course. These coasters are a fun addition to the party and were printed from CBC's site. You can find them here. We made our own custom bottle of Herb Ertlinger's Fruit Wine (aka Martinelli's) in our favorite flavor, Dazzling Peach Crab Apple. A little (illegal) raw milk to wash down your pastries! 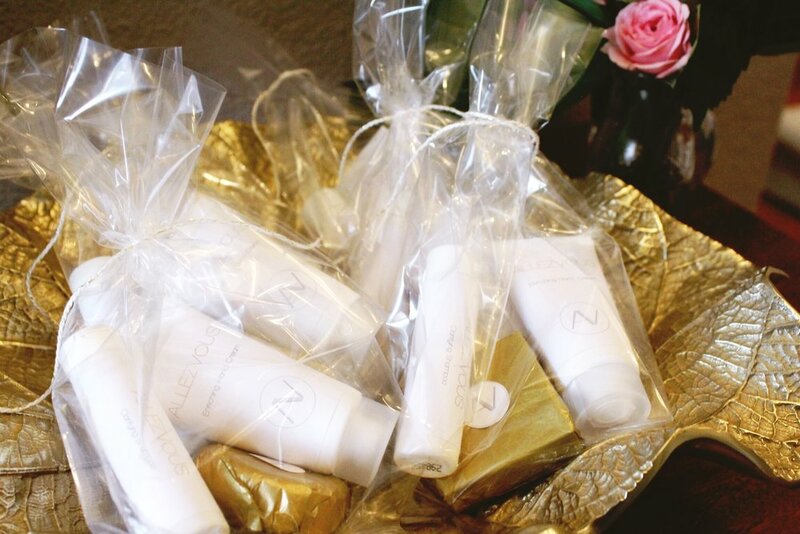 It's no secret that all the best parties have favors, so each guest will get to leave with their own personalized Allez Vous Starter Kit! Best wishes and warmest regards--thanks for reading! Two of the best thing about winter are warming up with a cup of hot cocoa and spending time with family and friends, so why not combine the two and host a hot chocolate party for your loved ones! If you have a big group I recommend making your hot chocolate in a Crock-Pot to keep it warm all night long and you could even have a BYOM (bring your own mug) or supply paper coffee cups if you find yourself short on drinkware. I also love to use little Christmas teacups so guests can try different flavors throughout the night! Our first stop at the hot cocoa bar features some adorable little hatted snowmen from Williams Sonoma. Grab one and fill up! I've chosen in other hot chocolate bars to include a "Flavor It" section where I include either International Delight coffee creamers (special shoutout to my personal fave, Irish Creme), but they have everything from Reese's to Almond Joy to hazelnut or Torani syrups in peppermint, vanilla, chestnut praline, and gingerbread. 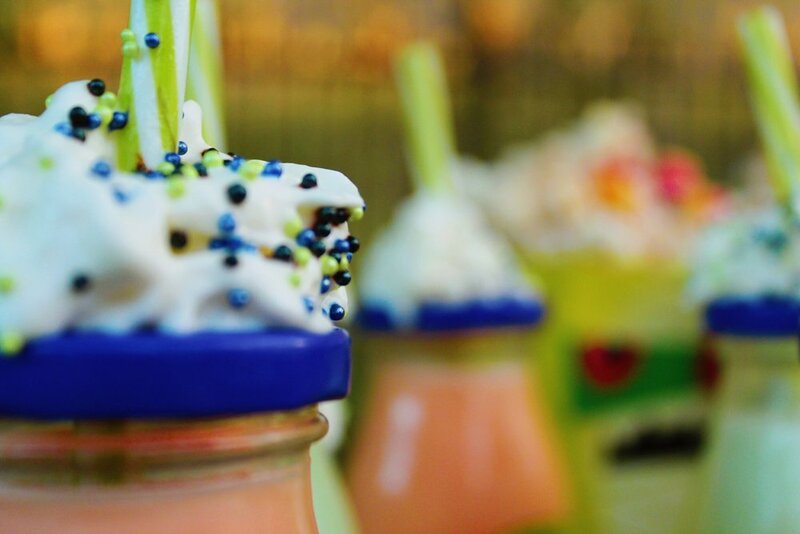 Your guests are sure to love adding a little twist to their beverage! Next we're onto my favorite stop--Top It! Of course we have Christmas sprinkles, whipped cream, and marshmallows. Other favorites include chocolate shavings, toasted coconut, butterscotch chips, and crushed candies like candy canes, butterfingers, and Andes mints. And finally we've reached our last and most important stop, Enjoy It! Throw in a cookie exchange, game night, or white elephant gift exchange and you've got the perfect evening! We originally threw this party on July 31st to celebrate Harry Potter's birthday, but Halloween is also an excellent time for some magic! Especially since it's so easy to find costume pieces--you could have a whole house of witches, wizards, Death Eaters, and elves! Rather than go with the 9 3/4 brick wall entry that you see at so many parties, we went with a Marauder's Map theme, because honestly, what better time to be up to no good than at a party? Our guests were greeted with some Ferrero Rocher golden snitches and these terribly cute temporary tattoos to add some flash to the evening! The Marauder's Map theme continues with tiny sets of footprints all up and down the hall. Our second entry table becomes a potions lab--this is where the Halloween decorations really come in handy! The kitchen was filled with flying keys! The restroom paid tribute to The Chamber of Secrets with snake details, our very own tiny whomping willow and flying car, and resident guest Moaning Myrtle in the toilet! Our Hogwarts treats included Hagrid's birthday cake, chocolate frogs filled with peanut butter and chocolate mousse, and these adorable potted mandrake dirt cups! 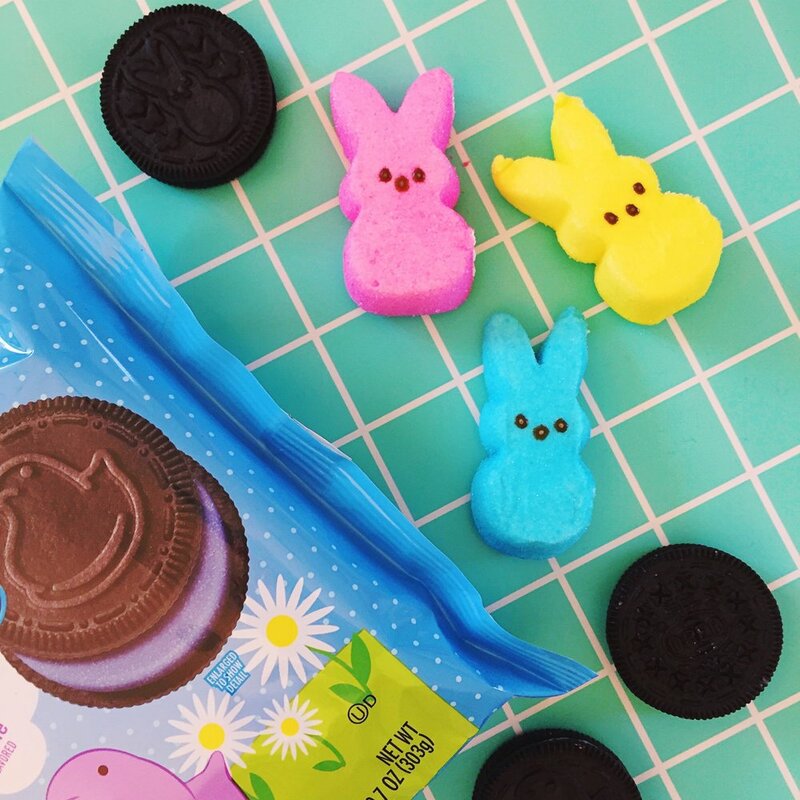 Seriously, how cute are these?! Our Great Hall was filled with over 70 homemade floating candles. Annnnnnnd mischief managed! Another successful evening--what was your favorite detail from this magical night?